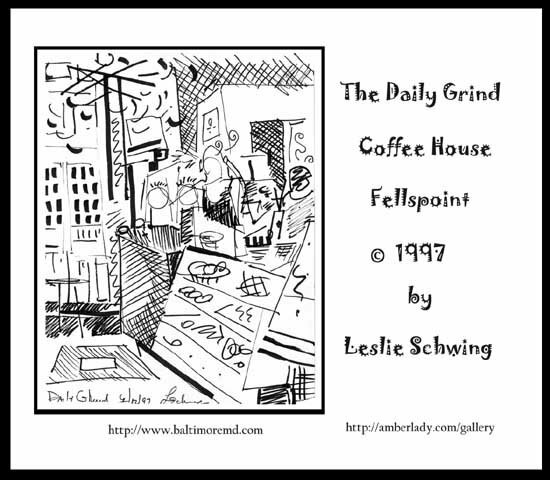 This is the interior of the Daily Grind coffee shop during the Homicide - T.V. series years. You could sip coffee with some of the cast whom were treated as locals by the locals. Now a maritime museum the 18th century building has been everything from a ship chandlery to a coffee shop . The "grind" has since moved a few doors down Thames street opposite the "Homicide Police Station". This drawing was executed in the artist's innovative "glyph" style.